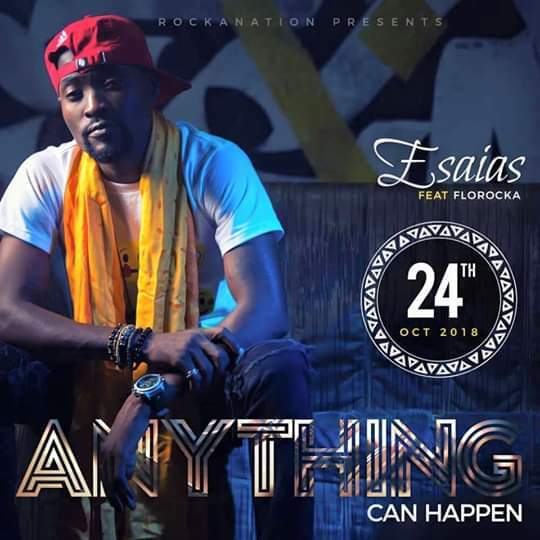 Esaias Set To Release "Anything Can Happen"
Ghanaian Urban gospel rapper Esaias, signed to nigerian record label Rocka Nation is set to release a brand new song featuring Nigerian Urban Gospel artist and label owner FloRocka. The "Oyadieyie" hitmaker has partnered with his boss to bless the world with the New single "Anything Can Happen" which has so many fans really anticipating it's release on 24th October. Since Esaias got signed to Rocka Nation, he significantly hadn't done anything major and fans were itching to know what the label was going to do. Over the weekend, Esaias travelled to Nigeria to officially commence life with Rocka Nation and posted a video of him being surprised by label owner and his wife. Fans cannot wait for the New release and as they still wait for it, in the words of Esaias himself, "STILL GOSPEL".